Hi I am in the process of moving and am afraid I have to cut sling load on the Alberg 30 project I have in the back yard. has an inboard volvo diesel 18 hp. rolling furler, sails that might work for half a season. It needs quite a bit of work but I think the hull is solid. clean ohio title. Bulkhead under the mast step needs to be re-built with new support beam. Engine mount pieces need to be re-anchored to the hull. Overall general cleaning, refinishing, and refitting. 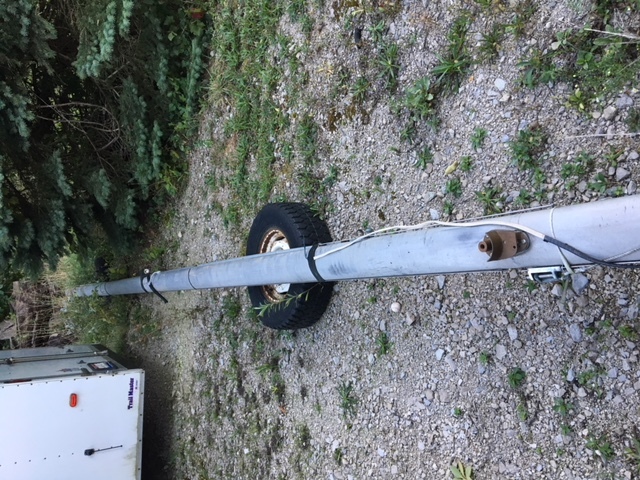 If your interested send me a private message ****** boat must be moved by licensed and insured boat mover at your expense, currently boat is sitting on shore stands. Boat is a 64 model year. please see pictures. It looks like I have to get a greater post count before I can respond to PMs. so if you inquire if you may try to give an alternative communication method. Predicting a qualified half season of useful life in the sails was a good one. First thing I would look at is the diesel. Last time it ran and condition. 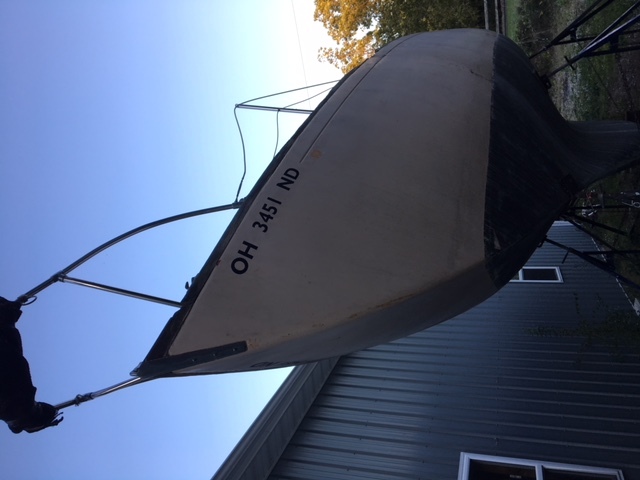 The tough part about all these project boats is the cost to put it back into shape vs. the value when you're finished. These are probably worth something in the $10k range, in fully fitted, good shape. The engine, sails, rigging, repairs, etc, can eat that up fast (and then some). It's sad to see them get to this point, because they are sometimes hard to rationalize the recovery. Going to be a hard sell, not being on a trailer. the cost to move is going to be what you can buy one for that is in the water and already to go. Tried to PM but I don't have enough posts. Do you have more pictures. Wanted to see the inside and more pics of the hull if you can. Thank you. Marine World Classifieds - Marine related only online classified ads web site that offers added exposure to your products or services for free. Seems like the sort of boat I'd enjoy, if I were in the market for a 30 footer. They're a little narrow and cramped by today's standards (although with good headroom), but they're apparently solidly built, sea kindly in rough conditions, reasonably fast, and definitely pretty. They aren't known for windward performance, but I'm willing to bet there's room for improvement with some tweaking. Try not to let the urgent override the important. Last edited by troy2000; 4 Weeks Ago at 08:46 PM. That's almost the same as my Bristol 30, which I paid thousands for, and thought I got a steal. Mine was in the water and I was able to motor away from the dock though . . . and it has a running, two-cylinder Yanmar diesel in it, rather than the similar-horsepower Volvo. Does it have any soft spots? how's the tiller? (. . . or does it have a wheel?) It looks like an interesting boat, but I have to say that unless you know what you're doing with that boat, it could end up costing more than it would cost to get a boat like a running, floating Alberg 30 or Bristol 30 (or Bristol 29 or Bristol 29.9). Albergs are legendary boats though, and there aren't many boats that would be more worthwhile spending money and time fixing them up. 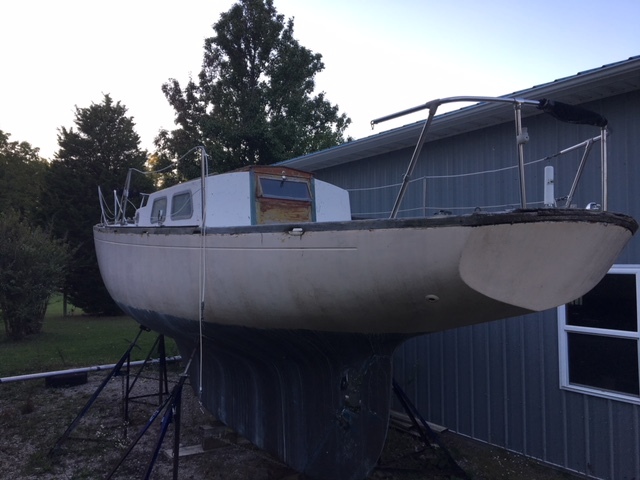 I'm not saying you'd get all your money back, after spending $20,000 or $30,000 fixing up this one, but if you did that much to it, you'd likely have one hell of a nice, super-seaworthy boat . . . as long as you're careful about what you do to it (and how you do it). If I didn't already need to do a bunch of work to my Bristol 30, I'd seriously consider coming to Ohio and taking that gem off your hands.